1. Does Skype receives your voice? If people can’t hear you while you are in a Skype call, then you are in the right place. With the guidance of this article, by following certain steps, you will do something like a microphone diagnostic with the purpose of finding and eliminating the problem. First let’s check if your voice actually has a problem traveling from the microphone all the way to Skype. To do this sign-in with your Skype name and password and from the menu go to: Tools -> Options -> Audio Settings. Where it says Microphone you see a drop down menu with a few devices and where it says Volume you see a volume indicator and a slider. Leave this window opened, take your microphone and say something. While you are speaking look at the indicator – it must be filling with green color. The louder you speak, the more to the right the indicator will fill. If the indicator is reacting to your voice, then all should be fine on your end. To be sure you can make a quick test call and if it also goes well, then tell the person that does not hear you to read the article I made for the opposite problem. But if the indicator is not reacting, then we have a problem. In step 2 we will change some Skype settings. While you are in the window from step 1, check if the checkbox called Automatically adjust microphone settings is checked. You need to either ckeck it or to move the slider all the way to the right. Now try to speak to the microphone one more time and watch the indicator. If this solved your problem, then save the settings and you are done. If not, let’s continue. Click on the drop down menu to the right of Microphone and if you have more than one device there, test with each of them. Speak to the microphone after each change to see if one of them is working. If you find one, save the settings. If none of them are working properly, leave without saving. In this step we will check if the microphone is connected properly. Take a look behind the computer (or on the front, if you are using the front panel) and see if the pink jack (the one for the microphone is usually pink) is plugged all the way. Push it harder to make sure it is connected. Also check if it is connected in the right place. Usually it is pink and it could has a small microphone icon. If you have two of them – one on the back panel and one on the front panel, then try the other one. If everything is properly connected, check if your microphone has a turn on switch or a volume control somewhere on the cable or the body of the device. Turn it on and increase the volume if you can. Go to step 1 to test after any change. Still haven’t found the problem? It is time to take a look at the Windows settings. 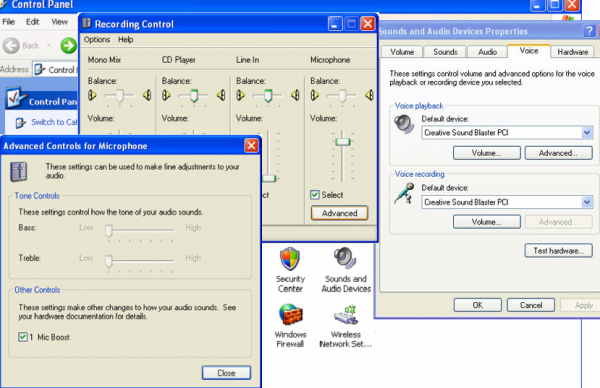 If you are using Windows 7, go to Start -> Control Panel -> Hardware and Sound -> Manage Audio Devices. A window opens. Click on Recording. You see a list with devices. Is a Microphone one of them? If not, right click on one of the devices and put the ticks (if they are not there) on Show Disabled Devices and on Show Disconnected Devices. Now you have to see the Microphone. If it is in gray color and it says Disabled, right click on it and choose Enable. This will activate it. If the microphone is enabled, right click on it and choose Properties and then Levels. Here you will see a small button to the right. It can be used to mute the microphone. If there is a small red icon on it, then it is muted and you need to click it. Save the settings. Another idea is to check the levels of the Microphone and Microphone Boost sliders. Increase the volume by sliding them to the right. If you are using Windows XP, go to Start -> Control Panel or if you are using the old menu – Settings -> Control Panel. From there go to: Sounds, Speech and Audio Devices -> Sounds and Audio Devices or if you are using the old view – go directly to Sounds and Audio Devices. Now go to: Voice -> the button below Voice recording, called Volume. Here there are sliders for several things. One of them is Mic Volume or Microphone. Below the slider there could be a checkbox called Mute or there could be another one called Select. If the first one is there – uncheck it, if the second one is there – check it. And about the slider it self, slide it up to increase the volume. Now click on the button Advanced, which is below the slider. If you do not see it there, you can make it appear by going to the menu: Options -> Advanced controls. 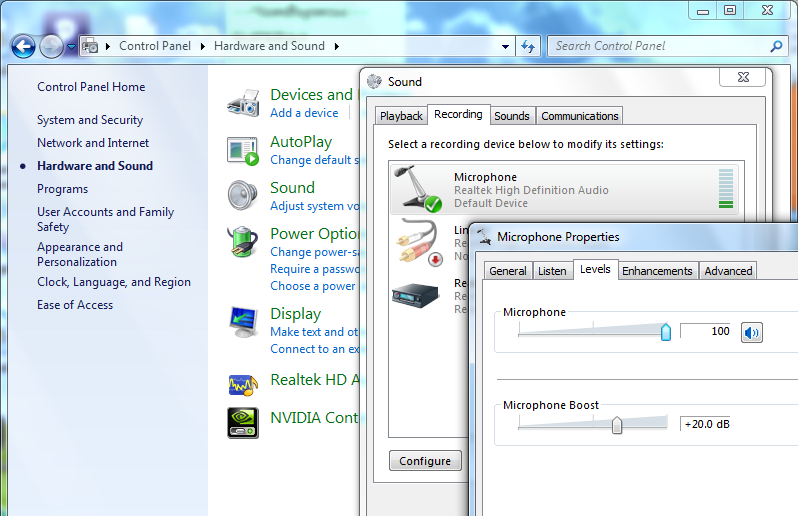 After clicking the button you see a window, where you see a checkbox called Microphone Boost (or Mic Boost). It is recommended to check it. (Thanks to Bongel, who mentioned this last tip in the comments of the Bulgarian version of this article). The problem could also be caused by incompatibility between different Skype versions. I have seen this happening. If nothing else is working, then you and the people that are not hearing you, should update to the latest version. There are other possibilities of course. Your microphone could be damaged or broken or your computer could have a software or a hardware problem that is not mentioned in this article. Thank you, my friends can hear me now. After following your steps to set up my headphone so my friends can hear me when we are on skype cause i was unable to hear them but i could hear them. Now we can hear each other. Cool. I am glad the article helped you :). My friend uses her cell phone’s ear phones for skyping, but when I try it, the mic doesn’t work. What can be the problem? Hi. Sorry but phones are not really my field. All I can say is to try with another ear phones, for example try with the ones from your friend (if they work on your phone). There could be something else of course, for example settings on the phone or something else I do not know. Am very very happy that my friend will hear me thanks to (admin of chat4o). I use instruction for window 7 carefully and it works 100%. Thank you once again. Cool :). I’m glad it worked for you. Thanks a lot ……. it works now…. What is the problem, people can’t hear me if they call or i call them? Hi. Well, could be a lot of things. I have described the most common problems in the article. It could be also that just your microphone is not working. I am using hp pavilion g6 laptop, i am also facing same problem, that my friends can’t hear me on skype. I have checked all my setting all are correct but not able to hear my voice, it was working fine previously but suddenly stopped. Please help me to sort out this problem. Thanks in advance! Hi. Maybe your microphone is damaged. If you can, take a microphone or a headset with one from a friend and try it on your laptop to see if it will work there. Another thing that can cause this is if you and the other person are using different versions of Skype. Try both updating to the latest one. Hi, Thanks for your suggestions, I tried with headset , now i can record my voice and my friends can hear me. Thanks for your help. Can you please suggest me what should i need to do with internal microphone? Thanks in advance! The internal microphone is probably damaged and not working. They are not very good. You can use external from now on, or you can take the laptop to fix it (if they can) at the store (or somewhere else). Every time I call someone on my computer on skype they can never hear me but if they call me its fine, we can both hear each other. The version of skype is up to date on my and my friends computer. Please help. Hi, I am using Windows xp. I have same problem. My friends can’t hear me. I have tried your suggestion that is mentioned above. But still unable to solve this problem. Plz help me. Hi. 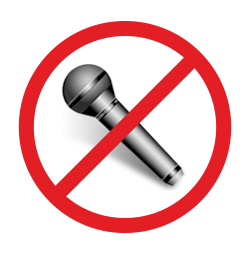 If nothing helps, probably the microphone is not working or the problem could be caused by different program versions between you and your friends. Thank you very much! I followed the instructions and was able to solve the problem. Cool :). Thanks for stopping by. Hi. Both you and the person should be with the most recent version of Skype. Video calls between different version often do not work. Also is your camera working? Does Skype recognize it? Go to menu Tools – Options – Video to see what it says there. Shame that SKYPE doesn’t have a drop down menu to Chat Directly from within SKYPE to technical support. And that changing a subscription for the phone number from 3 mo to a yr is such a ordeal to find this information. The problem I have is that, whenever I call to a phone number through skype, they can’t hear me using my internal mic on the laptop. But it works fine of we communicate from skype to skype. Hi. Well… Since in these two situations you are using the same hardware and software and the other person is changing everything, seems very likely to me that the problem is somewhere with the other person. Have you tried calling different people? Is there a problem with everyone?